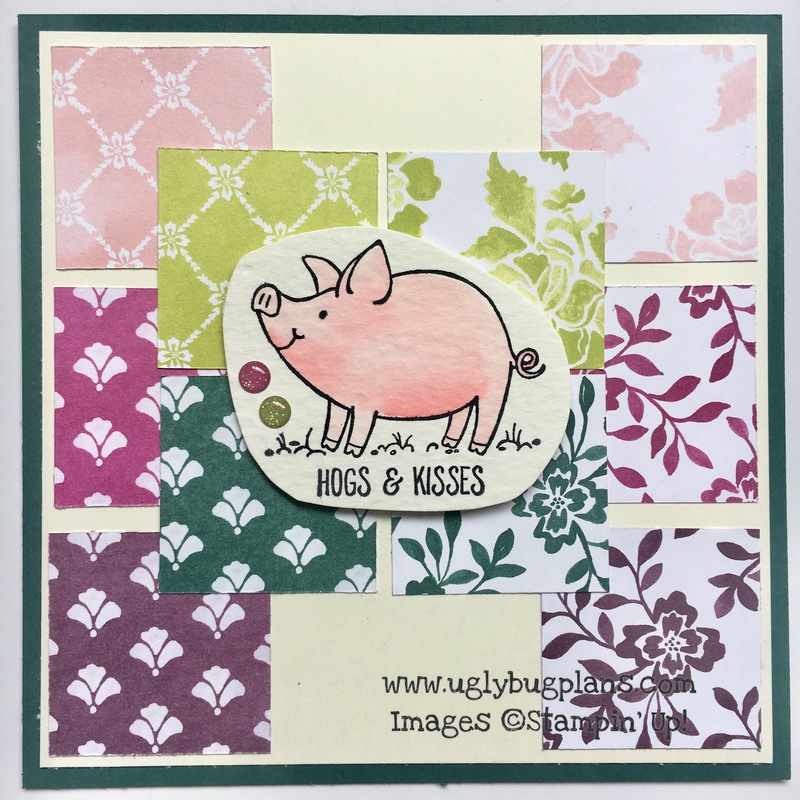 Todays “Teamie Tuesday” had a theme of Squares, at first I was really unsure on what I was going to do but then inspiration struck. 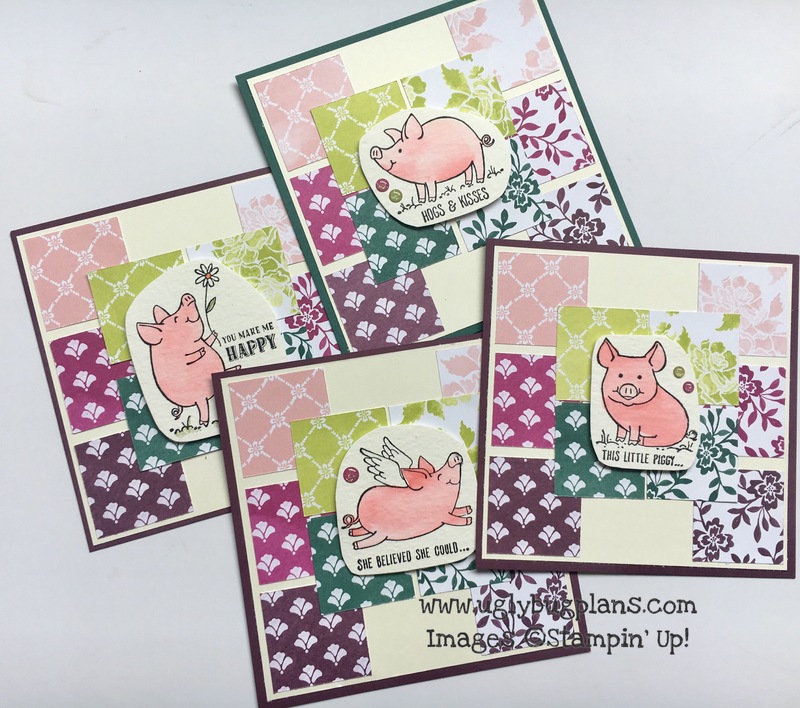 Many of you will know that the new Stampin’ Up! catalogue launches on the 1st June (if you’d like me to send you a catalogue then you can fill your details in HERE), demonstrators get to view the catalogue in April and we can pre order in May (so keep a watch on my blog for sneak peaks of products and new projects): however any demonstrators who attend our functions get to pre order before the pre order. Last week whilst I was on holiday in Lincoln I was lucky enough to go and visit my upline and mentor Zoe from Stamping Scene who not only let me play with the products but was kind enough to give me a few bits to take home and play with, she is a love!! 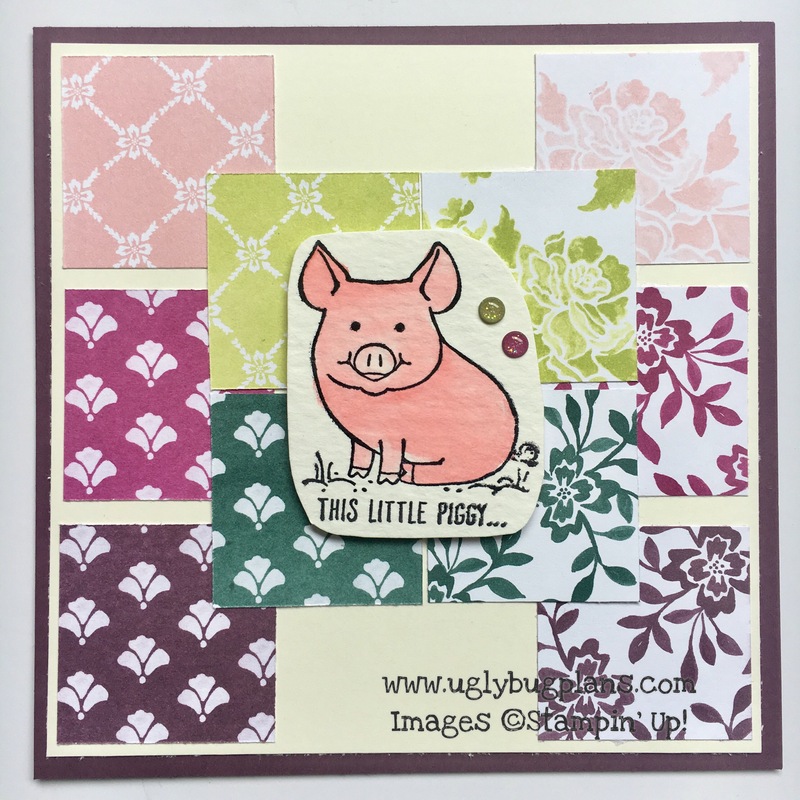 I wanted to come up with something that I could send out to all the ladies on my team so that they could see the new In Colours and DSP.. as well as that adorable little stamp!